Jeffrey Ross may be available for your next special event! Jeffrey Ross, a.k.a. "The Roastmaster General", is one of the most well-respected comics working today. He's had many show-stopping performances roasting some of America's favorite stars such as William Shatner, Hugh Hefner, Donald Trump, Pamela Anderson, Emmet Smith, Drew Carey and Bob Saget, which inspired New York Magazine to crown him "The Meanest Man in Comedy". Jeff's first special "No Offense: Live from New Jersey," was filmed in his home state of New Jersey and aired on Comedy Central. He starred on the 7th season of ABC's hit "Dancing with the Stars" alongside partner Edyta Sliwinska. As a comic, Jeffrey Ross has appeared on dozens of TV shows including David Letterman, Jimmy Kimmel, Jay Leno, Carson Daly, The View, The Today Show, HBO's Real Time with Bill Maher, MSNBC's "Countdown with Keith Olberman", and "CNN's Glen Beck". Jeff co-created and starred in MTV's highly irreverent and controversial animated series "Where My Dogs At?" in which he and Tracy Morgan played stray dogs wandering around Hollywood making fun of celebrities. 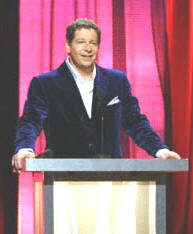 He has hosted NBC's "Later" and "Tompkins Square" on Comedy Central. Jeff served as a judge on ABC's reality series, "The Next Best Thing" and has also done a number of dramatic turns in shows such as "Weeds", "Six Feet Under" and "C.S.I.". In film, he has appeared in the Farrelley Brothers' "Stuck on You", and the critical sensation, "The Aristocrats". Jeff has also written for Billy Crystal at the Academy Awards, the MTV Video Music Awards, and many comedy series including "The Man Show" on Comedy Central. Jeffrey Ross has scored with two of his own solo stand-up specials for Comedy Central – "Lounge Lizards" and "Pulp Comics." Additional acting credits include the feature films "Celtic Pride" and "Isn't She Great" and the TV shows "Cosby," "Dr. Katz," "Shasta," and the NBC pilot "Thicker Than Water" co-starring with Valerie Harper. His directorial debut, "Patriot Act: A Jeffrey Ross Home Movie" screened at many top festivals, including South by Southwest, the U.S. Comedy Arts Festival, The New York Comedy Festival, The Hampton's Film Festival, the G.I. Film Festival, and even won Best Picture at the Montreal Comedy Festival. His "home movie" captures his life-changing experience entertaining U.S. troops stationed around Iraq during the early days of the U.S. Occupation. The New York Times declared Jeff, "...if not a hero, then someone who at least did his small part". The New York Post gave the film a perfect four out of four star review and declared it, "...the best documentary to emerge from the Iraq war so far". General Richard Meyers, Chairman of the Joint Chief of Staff, said Jeff's film was... "...funny and poignant - every American should see it". The movie aired on Showtime in honor of Memorial Day and is available on DVD. Jeffrey Ross is truly a "New York" comedian. In 1998 he won the top comedy awards from both Backstage Magazine and from the Manhattan Association of Cabaret Artists. In addition, he has performed at every major comedy festival and at dozens of benefits every year, including the annual Jerry Lewis Labor Day Telethon. Jeffrey Ross is one of the most versatile performers working today. He's just as comfortable in front of college kids as he is at the Apollo Theater or in front of a large group of salesmen at a convention at two in the afternoon. Jeffrey Ross has developed a fresh and endearing style. After graduating from Boston University with a degree in broadcasting and film and a minor in political science, he moved back to his home state of New Jersey and began performing in area comedy clubs. 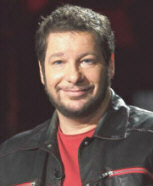 He soon became a regular on the New York comedy scene and the stand-up television shows. He developed a one man show, "Superman," and performed it at the U.S. Comedy Arts Festival to rave reviews. Two weeks later he went on "The Late Show with David Letterman" and made one of the strongest stand-up debuts in the show's history. His Poetry Tour '95 image spots were a staple on Comedy Central. He has performed for many corporate events, including those of SONY, Merrill Lynch, Morgan Stanley, Glaxo Wellcome and Entex. Jeffrey Ross currently lives in both New York and Los Angeles, but says he still vacations in his home state of New Jersey because he's addicted to the smell. By 10.5 years old, Jeff had his black belt in Karate, but he got his black belt in bustin' balls when he joined the legendary New York Friars Club in 1995.
booking entertainment, such as major name entertainers or celebrities, booking Jeffrey Ross, booking information on Jeffrey Ross, or hiring Jeffrey Ross for your special event, or to book or hire Jeffrey Ross, or if you are seeking the Jeffrey Ross booking agent for corporate entertainment or for a private party. Consider the opportunity to book Jeffrey Ross or other entertainers for a wedding, birthday, anniversary, business meeting or convention. If you are not a talent buyer, we are unable to provide Jeffrey Ross manager or management contact information. Consider this your official Jeffrey Ross booking agency web site – The booking agent who works for you! This company acts as an entertainment consultant or broker/producer and does not claim or represent itself as the exclusive agent, representative or management of Jeffrey Ross. Jeffrey Ross, comedian - booking agent. This artist may be available for your next event. Book him if you can. You will have the time of your life!